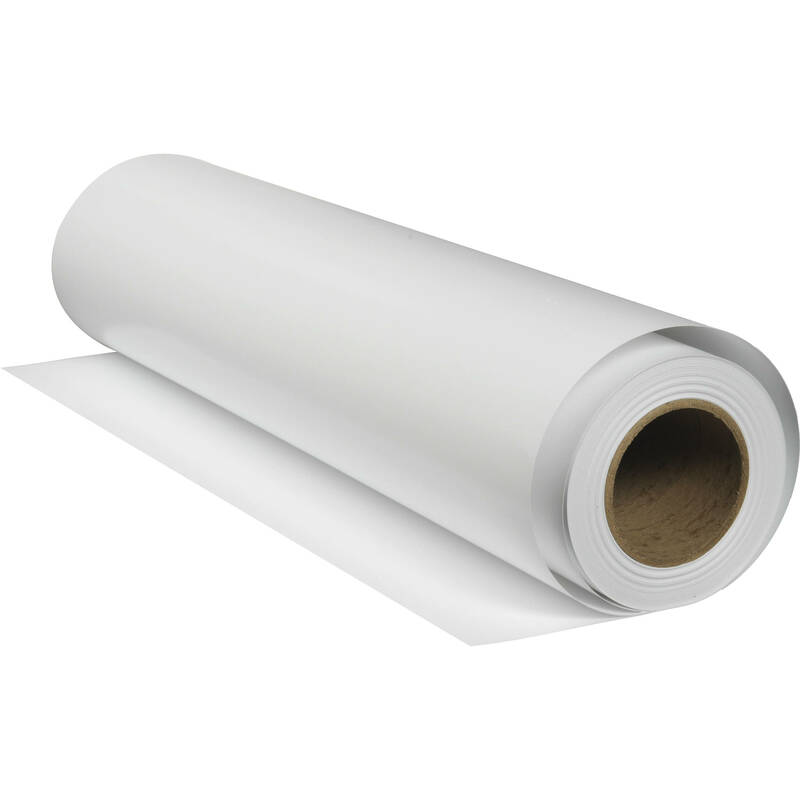 Create phenomenal archival grade prints that will hold up in a museum with this 17" x 40' roll of Exhibition Canvas Natural Satin from Epson. Made from a 400 poly-cotton blend, this stretchable canvas also boasts an exceptional Dmax and a wide color gamut. Also, the 19 mil thick canvas does not use any optical brightening agents in order to guarantee accurate colors for years to come. Box Dimensions (LxWxH) 20.25 x 11.35 x 10.6"
Exhibition Canvas Natural Satin (17" x 40' Roll) is rated 3.0 out of 5 by 2. Rated 1 out of 5 by Byron N. from Disappointed Normally I only use Epson papers on my sc p800 printer, I use the exibition canvas in satin and gloss with no problems. This natural canvas for some reason doesn't work for me. It's lighter weight, which makes it easier to stretch, it feeds fine...my problem is I don't get perfect ink coverage. Online it says use premium luster icc profile, tried it and it's better, also tried increasing ink density...also better. Still not perfect, my point is, I've wasted a lot of ink and canvas trying to get it right. I don't normally have this problem. I won't order more. Rated 5 out of 5 by John from Professional Gallery Wraps I've purchased this paper several times for printing Gallery Wraps up to 13 wide. The prints always look sharp and retain their color. I've never had an issue with this product.